Born in small town Cedar Hill, Texas her parents were both singing actors. Growing up she was involved in just about everything musical her parents or the local school system could offer. She began to stand as a performer in high school where she won numerous songwriting and choir awards, and performed in musicals and plays. She joined her first band at sixteen, and became a local music enthusiast of the burgouning music scene in the South West. At the age of eighteen, she moved to sunny California to complete her education and received a B.F.A in Music Performance with Vocal Emphasis at Chapman University, studying under opera diva Carol Neblett. Stephanie has performed on the opera stage in roles such as Cherbino in Le Nozze di Figaro and frequents the stage of the Los Angeles based opera companies such as The Industry and Pacific Opera Project. She also has performed with several jazz ensembles, including featuring with the Ryan Cross Trio at the Biltmore Hotel. In 2016, she accepted the position of Music Director of Missio Dei, Los Angeles. 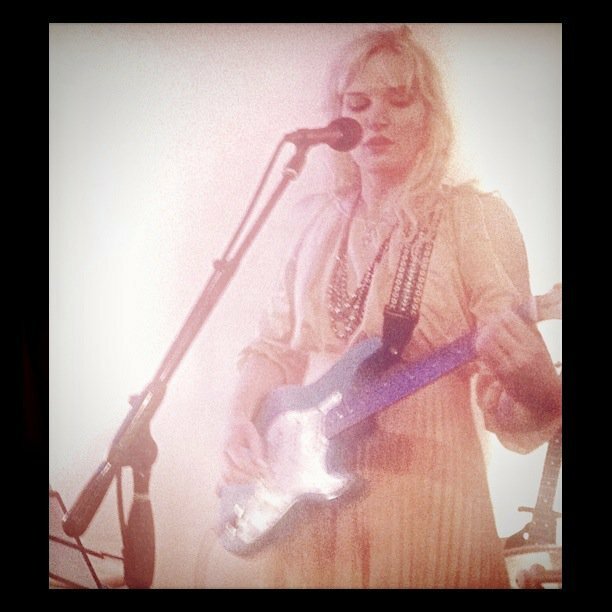 You will occasionally find her at a gallery art opening or fundraiser singing out her own songs from behind an electric blue guitar. Teaching voice combines two of her greatest loves on the planet: people and music. It continues to be a blessing and gift beyond comprehension.